The story is narrated in an unknown time, in a ruined subway station which is environmentally similar to modern European societies. People in this society have animal faces, they`ve forgotten humanity and ethics and they do not avoid sins. There is a person among the passengers who is different from the others called Mr. Deer. He tries to reform the society, but the immorality of his peers reaches its peak. As the train goes by, the stations get worse as a sign of this ruined society. On the third station, we will encounter with complete destruction. Some people have fallen to the ground and rubble has been poured over them. Mr. Deer gets off the train in order to help, he takes a crying baby out of her dead mother`s arms and gives her to one of his peers. Mr. 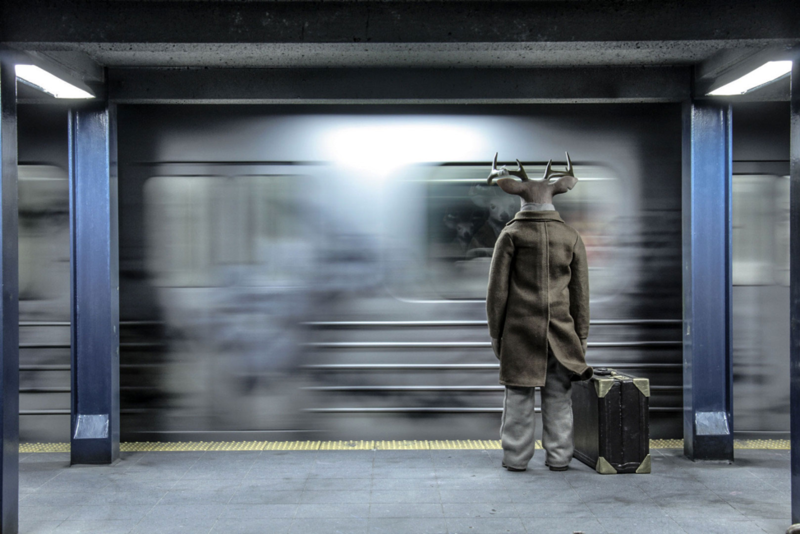 Deer, who wants to help someone else, misses the train. The doors are closed, and the train starts to move. Suddenly the station roof collapses. Sun shines brightly on deer`s horn which has trapped beneath the rubble. Horn shakes a little. Mojtaba Mousavi was born in 1986 in Iran. He began his cinematic career in 2004 among his college in the field of human resources. He expressed his interest in writing, critique films, screenwriting and making short films. After making some short films and documentaries, he launched the Visual Effects Studio. After three years, according to the various skills and experiences, he tended to stop motion and made his first short animation in 2012. “The Cassette Player” was screened in many countries. 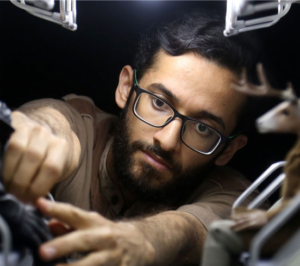 In 2015, he began making “Mr.Deer” animation and it took him three years to complete it. During the production, he taught stop motion at the Faculty of Cinema and Theater College and various art schools in Tehran. He is currently the director of Red Deer Studio.